As I explained in Part 2 of these Search series, also the Search Web Parts are changed so that implicates that you need to mitigate Search Scopes. Result Sources are the replacement for this in SharePoint 2013. The Search Scopes can be managed on three levels: Farm, Site Collection and Web. Out of the box SharePoint will provide 16 Result Sources. You can’t edit or delete the default Result Sources, but you can create new ones based on the default ones. Creating can be done on all three levels where Search Settings can be managed, but they will be available only within that scope. When adding a new Result Source a form will open where you can select the source where should be searched in and there is the ability to create custom query transformations using a Query Builder. With the Query Builder it is possible to create custom query transformations using the User Interface. Within the custom Query’s you can include managed properties which makes it very useful to create Result Scopes for using custom fields and content types. When added a Result Source, you can use it in customized search pages and make it available to end users by adding it in the Search Navigation. There’s a Technet Blogpost which describes this process. 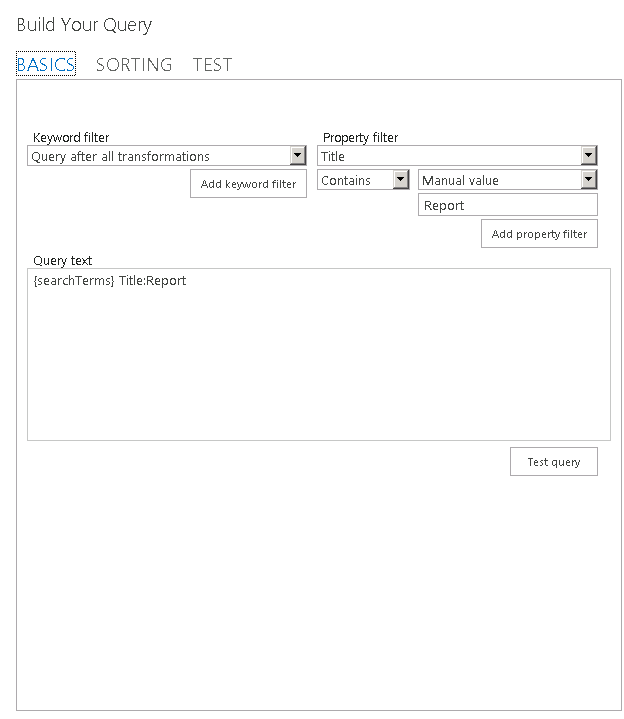 This entry was posted in Migration, SharePoint and tagged Result Sources, Search, SharePoint 2013 on 12 June 2014 by captain007.